The 2014 Johannes Vermeer Award (the Dutch state prize for the arts) was presented to Irma Boom by the Minister of Education, Culture and Science, Jet Bussemaker. The jury, chaired by Ernst Hirsch Ballin, unanimously nominated Boom for her unparallelled achievements in the field of graphic design. The minister presented her with the award in the Mauritshuis, The Hague, on Monday, 27 October 2014. 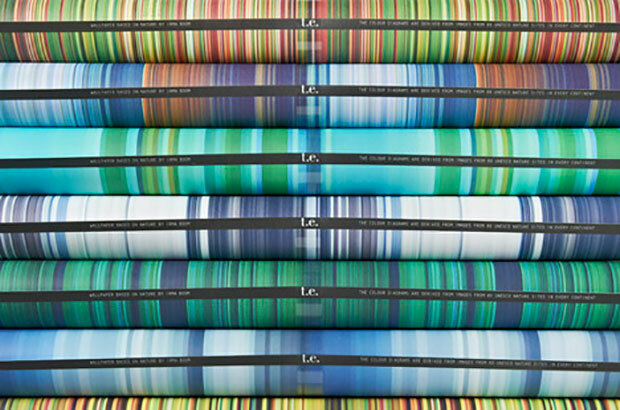 Irma Boom (born 1960) studied at the Art Academy in Enschede (AKI). She began her career at the state publishing and printing office in The Hague. In 1991, she founded Irma Boom Office, starting off on a series of remarkable projects with a commission from Paul Fentener to design the SHV jubilee book. With it, she set the standard for her book designs, which are now celebrated internationally and which have brought her a steady stream of work, both nationally and internationally, ever since. 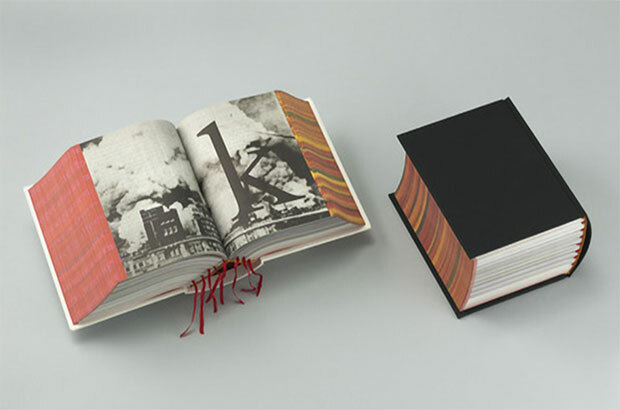 The jury acknowledged Irma Boom’s artistically striking and content-sensitive approach to book design. Through her editorial input, every book is unique. She experiments, searching for the boundaries of the book, and thereby transcending the function of mere information carrier with every one. They become small – or larger – art objects, tempting us to read and marvel at them. Her carefully constructed oeuvre is the result of the collaborations she inevitably enters into with her customers, authors and artists. For her, the book is a fundamental part of our tradition and the carrier of culture. Through her work, she proves herself a persuasive advocate of the printed book. Irma Boom has made her name principally as a book designer, but she has also designed stamps, commemorative coins, annual reports, posters, logos and complete corporate identities – such as that she recently devised for the Rijksmuseum. She also designs for public space, and a mural by her, consisting of 75,000 tiles, will shortly adorn the new cycle tunnel under Amsterdam’s Central Station. Irma Boom lectures widely and teaches at Yale University in the USA, where she has been a faculty member since 1992. Her work is included in the collections of leading international museums, including the Museum of Modern Art (MoMA) in New York and the Centre Pompidou in Paris. The University of Amsterdam (Special Collections) manages her living archive. The Award. The Johannes Vermeer Award is the Dutch state prize for the arts. The winner receives 100,000 euros to spend on a special project in his or her field. The Dutch government established the award in 2009 to honour and encourage exceptional artistic talent. The prize may be awarded to an artist working in the Netherlands in any artistic discipline. Past winners include opera director Pierre Audi, filmmaker and writer Alex van Warmerdam, photographer Erwin Olaf, artist Marlene Dumas and architect Rem Koolhaas. Members of the award jury this year were: Ernst Hirsch Ballin (chair), Claudia de Breij, Marie Hélène Cornips, Omar Munie and Erwin Olaf. The presentation of the Johannes Vermeer Award will take place on Monday, 27 October 2014, in the Mauritshuis in The Hague. BIOGRAPHY IN BOOKS. Books designed away from the expected. Irma Boom makes tiny models of all her books which provided the inspiration for this one. A 704 page tiny book of tiny books with red printed edges and 450 full colour illustrations. 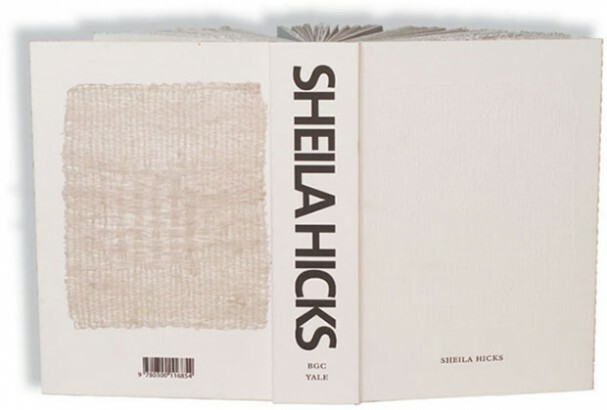 SHEILA HICKS. This beauty won “the most beautiful book in the world” award.